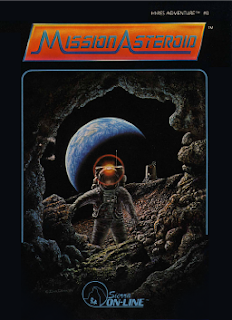 Mission Asteroid was labeled as Hi-Res Adventure #0, despite it coming after Mystery House. The reason why it was given a lower number was because it was an short and easy game, so it was billed as a beginner's adventure game. It was released for Windows (via Apple ][ emulation) as part of the Roberta Williams Anthology in 1997.